Despite--or because of--her irreverence, faith is a natural subject for Anne Lamott. Since Operating Instructions and Bird by Bird, her fans have been waiting for her to write the book that explained how she came to the big-hearted, grateful, generous faith that she so often alluded to in her two earlier nonfiction books. The people in Anne Lamott's real life are like beloved characters in a favorite series for her readers--her friend Pammy, her son, Sam, and the many funny and wise folks who attend her church are all familiar. 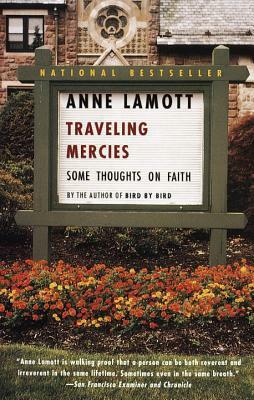 And Traveling Mercies is a welcome return to those lives, as well as an introduction to new companions Lamott treats with the same candor, insight, and tenderness.